DISCLAIMER: I was told by an expert that every part of a pototoe is deadly, except the potatoe itself and to keep children and animals away from your potatoes when growing them. Personally, I don't eat potatoes. I just used the picture from the internet for this article. Again, everyone need to conduct their own research. I wanted the article to get everyone thinking about growing their own foods, but I am certainly not an expert when it comes to growing foods. 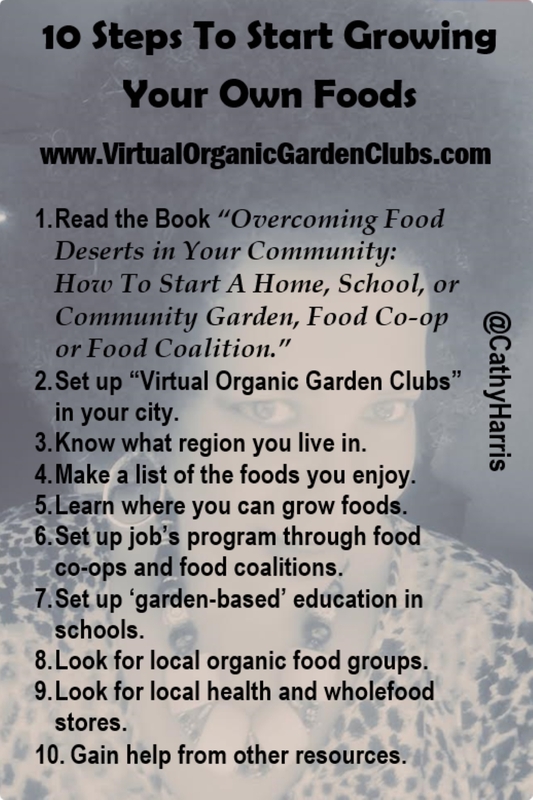 I am learning along with everyone else by reading books, attending local classes, watching YouTube.com, and working with other food experts. 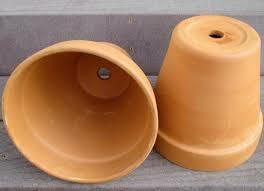 Also supposedly the best pots to use to grow foods are unglazed clay pots with a drainage hole. What I am learning is that a lot of growing foods is simply "trial and error." 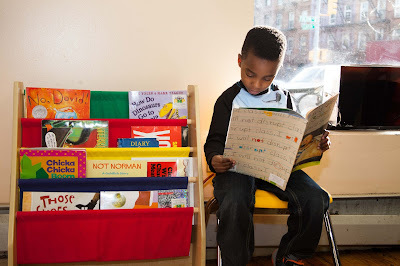 The key is to become a label reader and start reading labels, along with googling images and simply look at pictures. Many people, especially those that are renting, prefer to leave their plants in pots and containers so they can carry them to new locations. I spoke to a lady the other day after a class, who has 100 pots and containers and she said she was renting. Wow, that's really encouraging to be that dedicated to growing your own foods. 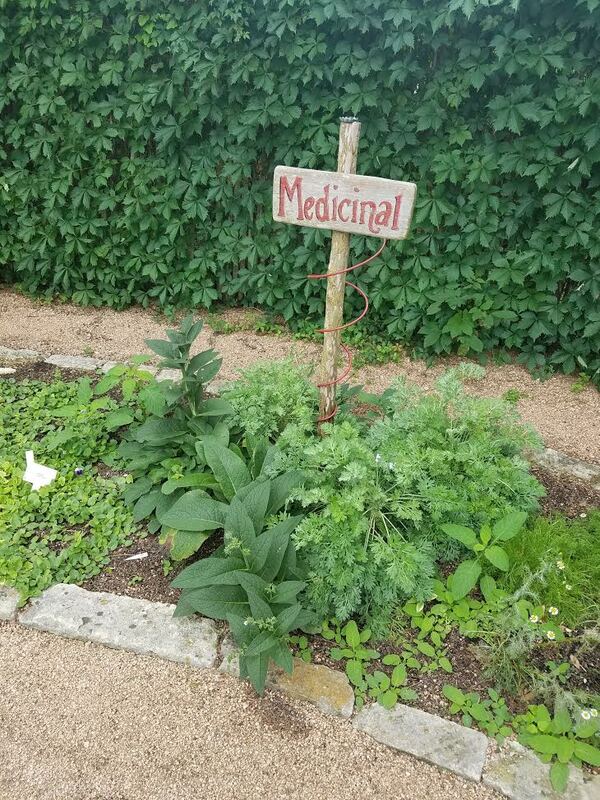 We were both at a class at Austin Natural Gardener and she said when she visits the place, it like being in another world. 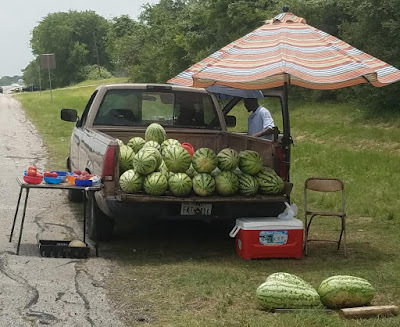 So I advise all families to at least take your family members to these types of natural and holistic garden centers, at least once in their lifetime, not just to garden centers at Lowe's, Home Depot, Walmart and other stores, where you have a very small selection of organic products. To save money, you can go to Goodwill and look for pots, containers, measuring cups and other supplies for gardening. You can also find wood containers to sit pots and other containers inside of. 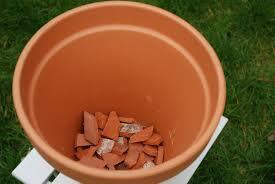 You can clean out old pots or containers by using vinegar or bleach and reuse them again. You can plug up pots with silicone. There are all types of containers to grow foods in. 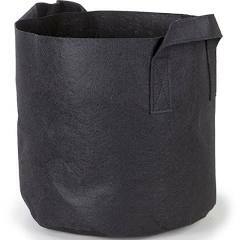 There are Outdoor Planter Bed Bags for planting flowers or growing foods. 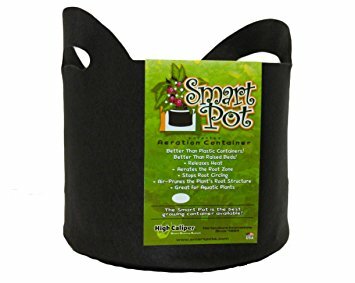 Smart Pots or Grow Bags works very well with container gardening. 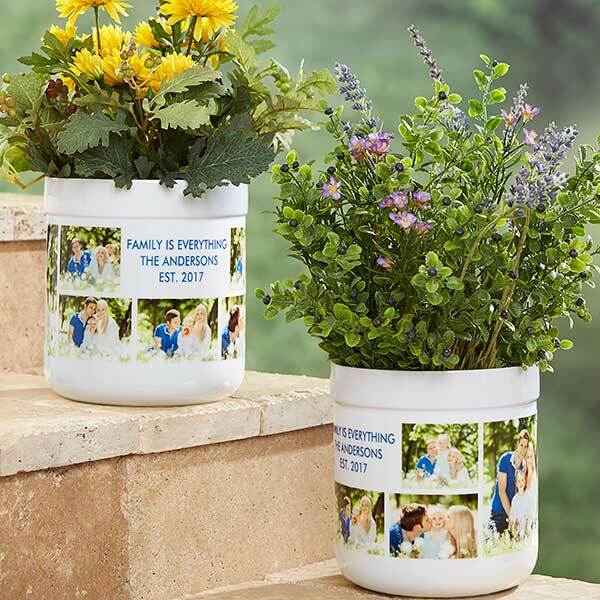 These containers are easier for women to lift because of the handles and the roots seems to grow much healthier in these containers, which allows plants to receive more nutrients that can result in healthier and faster growing plants. The roots don't ball up like they do in ceramics and other pots and containers. Ceramic pots works best for flowers and plants. 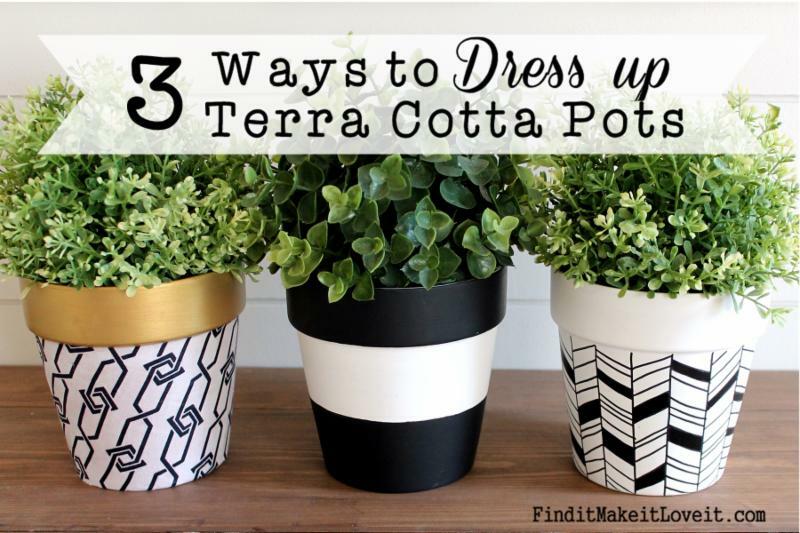 Metal or plastic pots are the best containers for growing foods indoors or Terracotta (also Terra Cotta or Terra-Cotta) with legs on it. 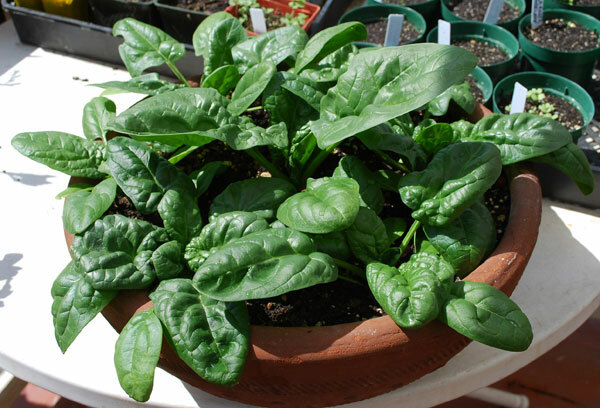 However, be careful with metal containers because they might leach heavy metals in your plants. Terracotta is a clay-like earthenware ceramic that can be either glazed or unglazed. In addition to being used for flower pots, terracotta is also often used for water and sewage pipes, bricks and sculptures. Before you get started, here are a few tips that will be handy to keep in mind, no matter which plants you choose to grow, some pots have drainage -- others do not. It's a pretty straightforward distinction, and yet that little hole at the bottom of your pot means a world of difference in terms of potting, plant care and maintenance. Is it possible to keep your plant in a pot without drainage holes? The answer is yes, but with caution. There is a lot of questions about how to plant in pots without drainage holes. Some people say not to do it at all, arguing that drainage holes are crucial to a plant' health. If you choose to use a pot with holes in the bottom, be sure to put a shallow drainage container under the pot so the water doesn't drain onto your floor, shelf, or windowsill. What is the purpose of a drainage hole? All plants need water to survive. And yet, over-watering is the most common (and perhaps most efficient) way to kill an indoor plant. 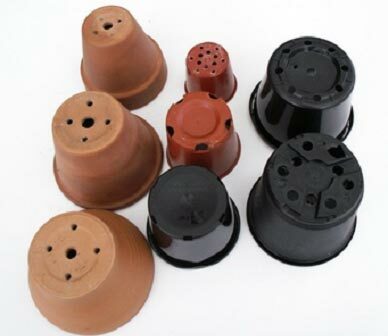 Drainage holes allow excess water to seep out of pots after watering, ensuring that water does not pool at the base of a pot, helping to protect sensitive roots from rot, fungus and bacteria. you add to the pot is going to stay in there. When watering a plant in a pot without drainage, you want to ensure that you water sparingly and slowly, so the water gets evenly distributed through the soil without pooling at the bottom. A drainage layer is created by adding a medium such as pebbles, stones, or even a broken pot to the bottom of a pot before adding soil. Soil particles are very small and tightly packed together, which means that water moves through them quite slowly. Adding a drainage layer allows excess water to get out of the soil more quickly and away from roots before they can be damaged. Though the water is still in the pot, a drainage layer can provide a barrier between too much water and your plant. 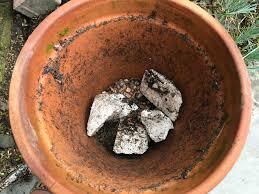 putting rocks in the bottom of pots and containers, you only need to use these to keep the containers from falling over in heavy winds outside. She said it is a myth that you need these for drainage in pots and containers so you need to conduct your own research. Think You Over-watered? Tip It Over. Hold the soil back with your hand, and gently tip your pot to the side (or even invert it, if possible) to allow the excess water to spill out. You can replace any lost soil later. If you don't have a drainage hole in your pot, you probably shouldn't use it for an outdoor plant, unless the plant will be sheltered from rain. You need to micromanage the amount of water going into your pot. If it get's drenched in a downpour, all could be lost. You have to listen to your plant. Depending on your space, and your own over-or-under-watering tendencies, your plant may thrive or be miserable in a pot without drainage. If the plant isn't doing well, gently remove it from the pot and take a look at the roots. Black or brown, mushy roots are a sign of over-watering. 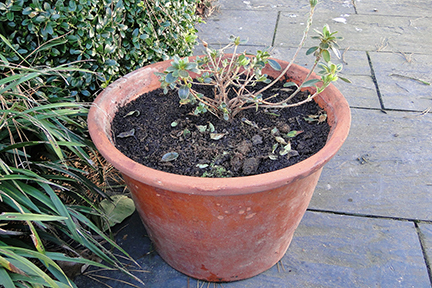 Try clipping off any damaged-looking roots, and re-potting the plant in a pot with drainage holes, keeping it a little moist until it shows signs of recovery. A cachepot is an ornamental container, usually of china or tole (enameled or lacquered metalware), for holding and concealing a flowerpot. If you're feeling a bit intimidated about the extra work associated with potting a plant in a pot without drainage, here's a trick. 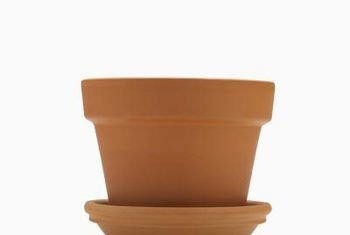 Find a plastic pot (with drainage holes) that's just slightly smaller than your planter. Pot your plant into the plastic pot, and then set this inside the planter. If done correctly, the plastic should be hidden, and it will appear as though your plant is potted directly into the planter. You can then take it out to water, and take advantage of the drainage holes in the plastic pot. More soil means more moisture for longer. 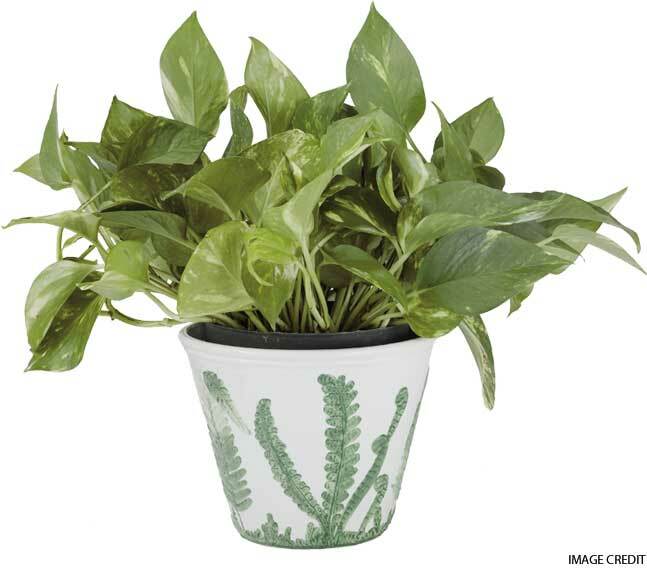 You should never move a plant up to a larger pot more than 1 or 2 inches in diameter. This is especially true with no drainage holes, since, without root mass filling your pot, all that soil will stay soggy for even longer, leading to careless over-watering. 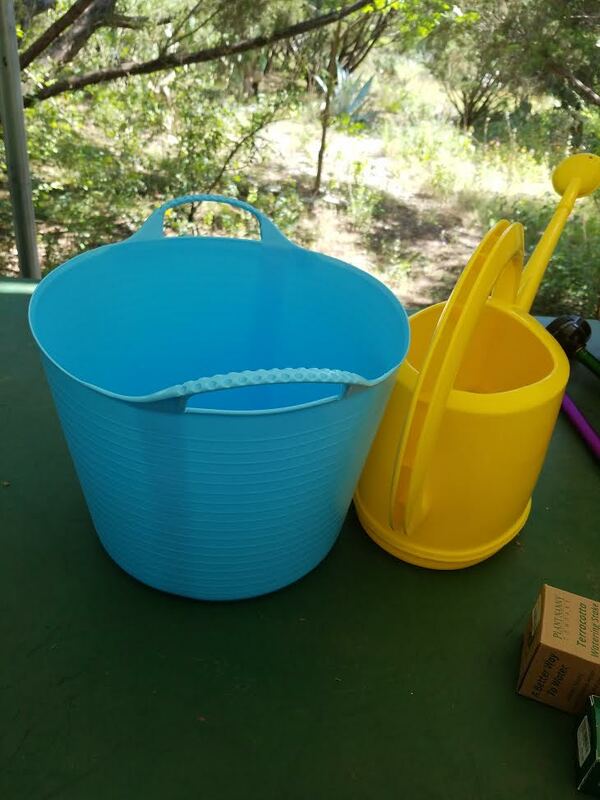 Also keep in mind if you use big containers, too big for the plant, then there is a good chance that when you water the plant, the water will not go directly on the plant, instead it will go toward the sides of the container. I believe this is called "overpotting." 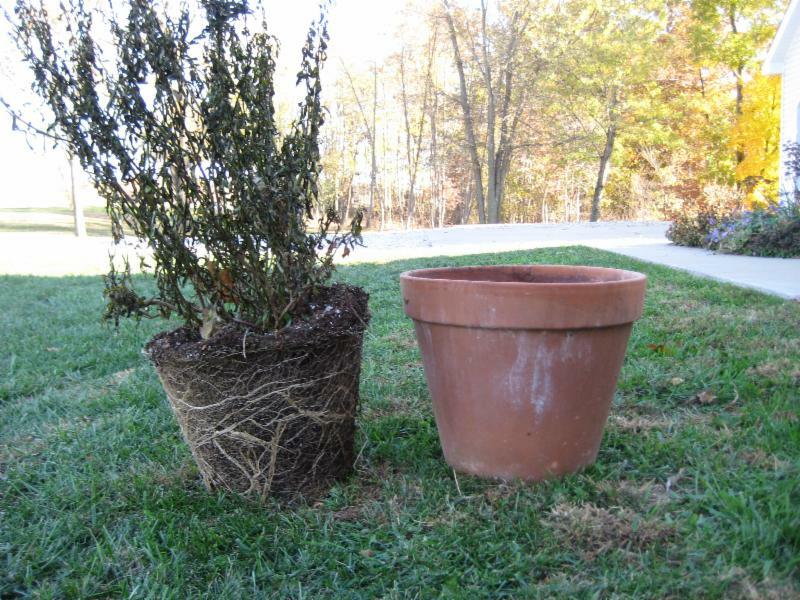 Overpotting is when you put transplants in pots that are too big for the plants, which can kill root balls. However, you can put annuals around a smaller plant in bigger pots. Annuals are plants that live only one growing season, such as beans or corn, then they die and you have to replant them every year. You can use the same soil for flowers and vegetables. Don't plant the plants too deep in the pots. 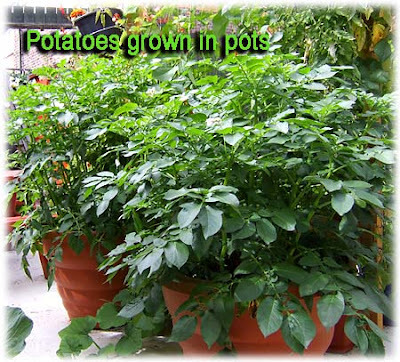 It's better to plant them too high than too low so try to leave only an inch of soil at the top of pots and containers. You can purchase soil at a garden center or make your own, so choose whether or not you want to stick with organic soils. Each plant grows best in a slightly different soil environment. What you need to understand is that your soil is the digestive system for your plants or its guts, so it extremely important to choose the right type of soil or potting mix. You need something that is not going to dry out. 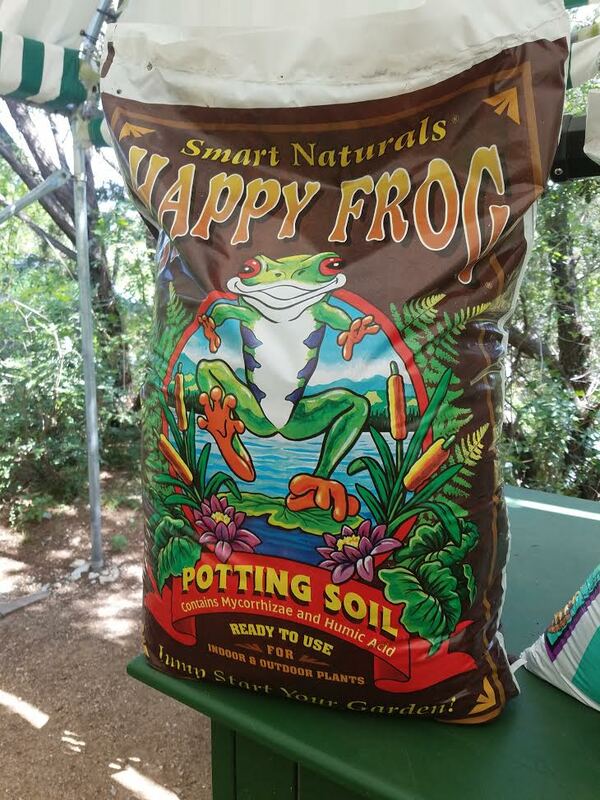 Fox Farm and Happy Frog Organic Potting Mix has everything you need. So if you use these two organic potting mixes, all you need to do is add in a good fertilizer. You need to become a label reader. If the label states the soil has sand dust or bark wood -- avoid it! Don't use dirt in potting soil, especially since plants are disconnected from the ground. 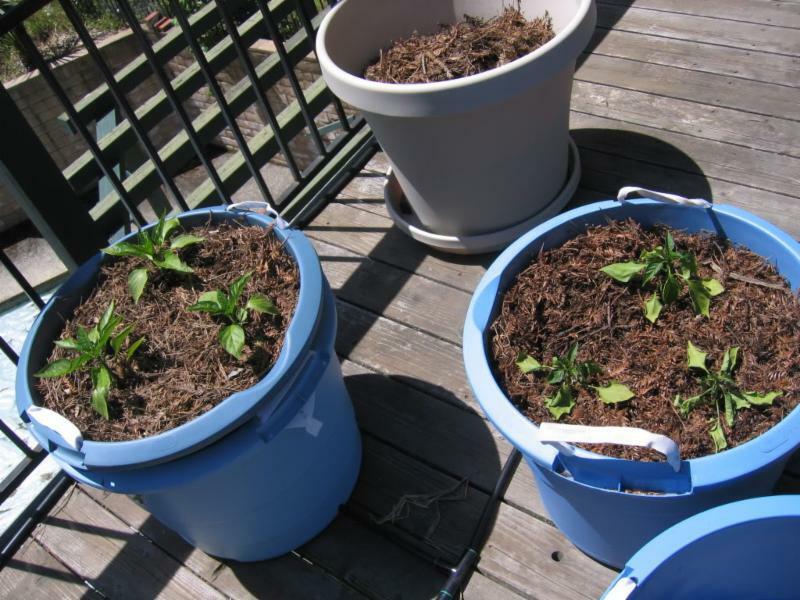 If you mix your own potting mix, use galvanized trash cans to do this. Play around and see which of the following ingredients works best for you in your soil. 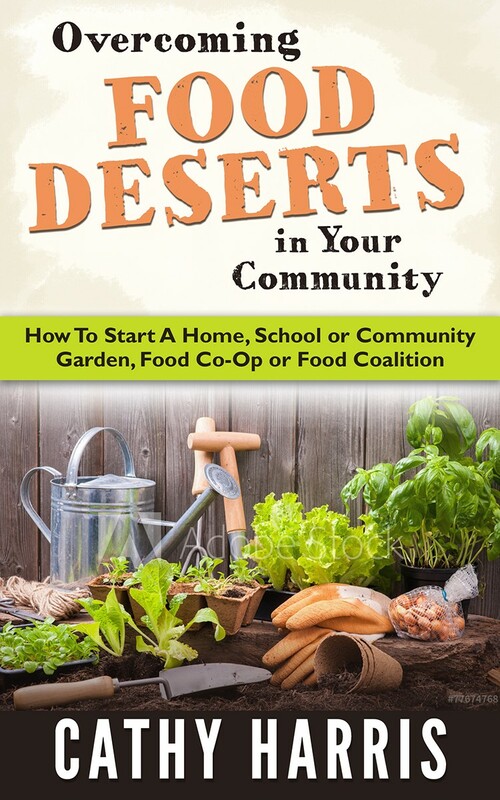 Growing foods is kind of like cooking, you play around with ingredients to see which has the best recipes or how healthy the plant turns out -- so again everything is "trial and error." 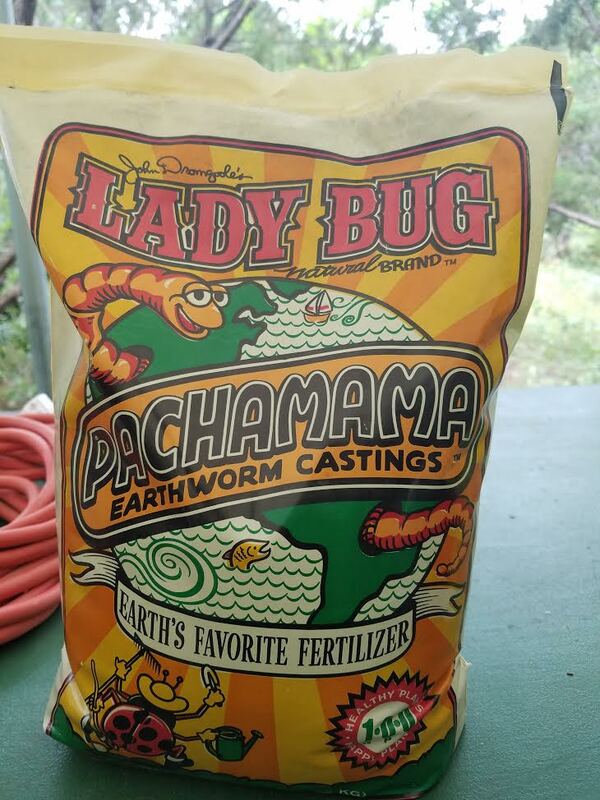 If your soil doesn't come with earthworm castings, then you certainly need to buy it on your own. Worm castings are an organic form of fertilizer produced from earthworms. Also known as vermicast, worm castings manure is essentially earthworm waste, otherwise known as worm poo. As these creatures eat through compost, their waste creates an optimal soil enricher. Coconut Coir comes in bricks with coconut. It will make your soil drain again. Put the brick in water and it will fluff out to break down. Coconut coir comes from the fibrous inner shell of the coconut. 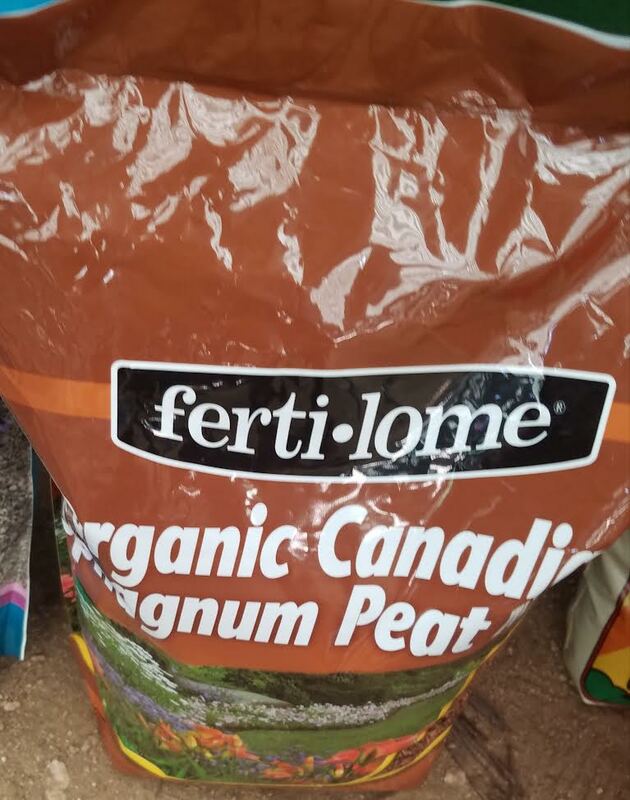 Previously thought of as a waste material, it is now frequently packaged and sold as a soil amendment to replace peat moss in the garden. Coir provides similar garden benefits compared to peat when used properly to improve the garden bed. Don't use peat moss in Texas. Peat moss is used to hold water. It has a remarkable ability to manage water efficiently and hold on to nutrients that would otherwise leach out of the soil. Both vermiculite and perlite are inorganic products, both are relatively sterile, and both are often used as soil additives. Vermiculite is a soft, spongy material made from super-heating mica. Perlite is a hard, highly porous material made by super-heating volcanic glass. 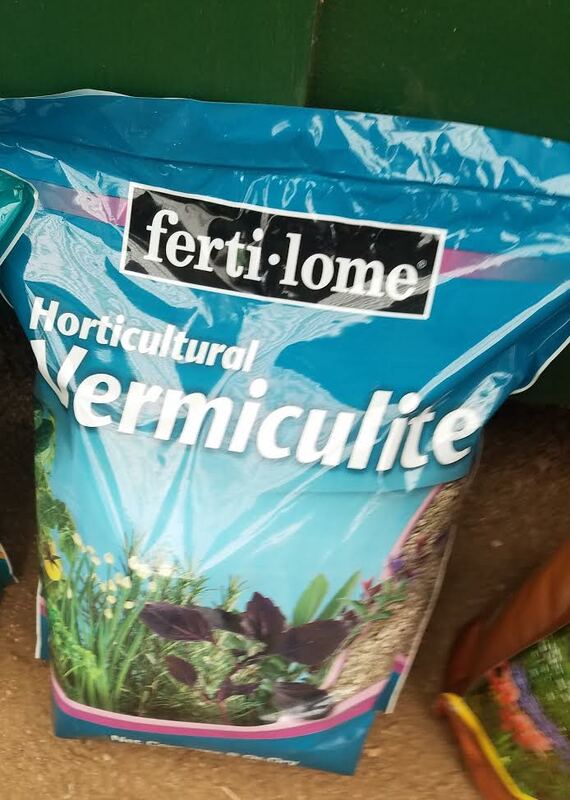 Vermiculite is for water retention. 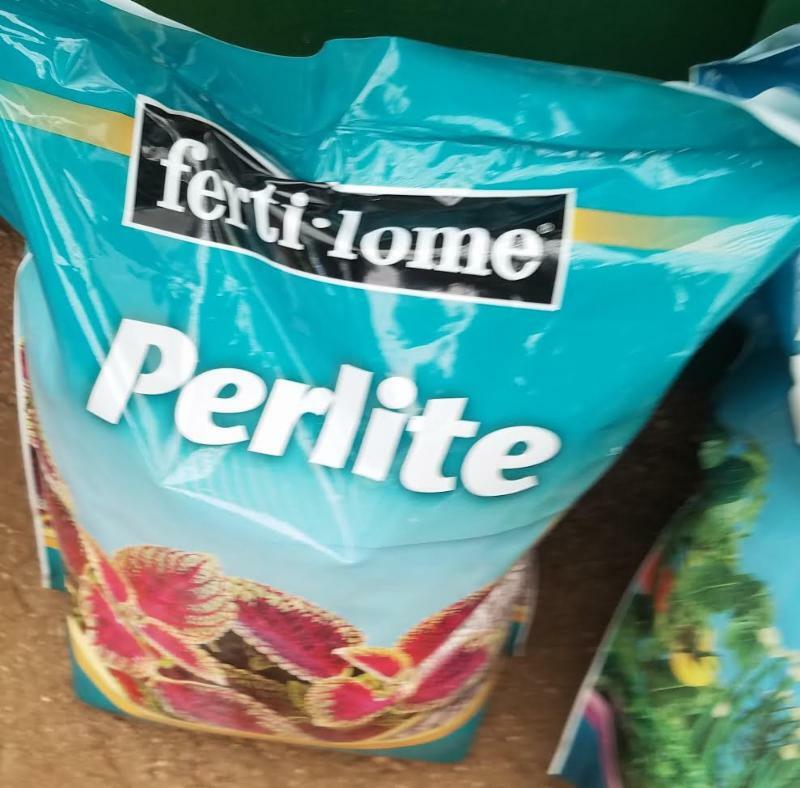 Perlite is a volcanic product that adds air to potting mix. So again see which ones works best for your potting mix, but you don't need these if you use a good, organic potting mix, which again, should have everything you need except a good "liquid" fertilizer, but again become a label reader. 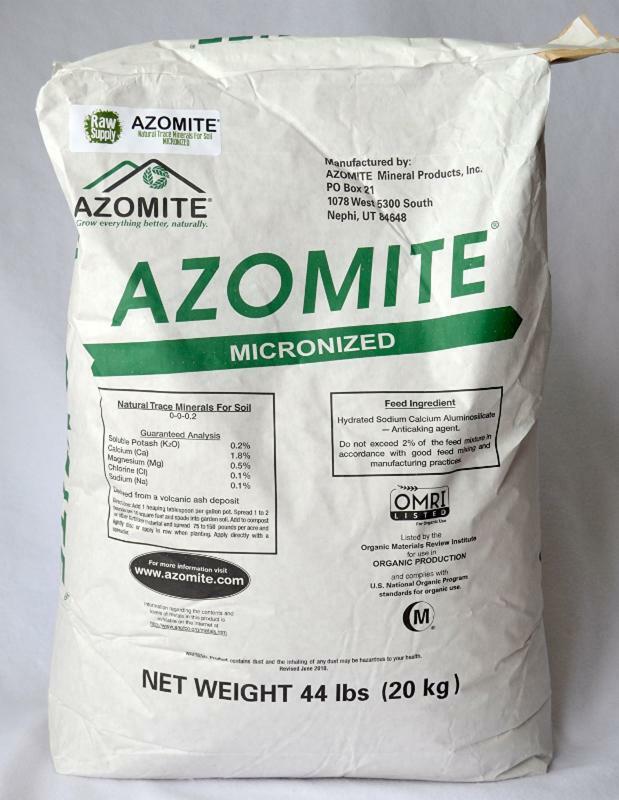 People use azomite as a sign of magnesium deficiency, iron deficiency and zinc deficiency. Go to google.com and put in magnesium deficiency in plants and see how they look. Tomatoes are prone to magnesium deficiency. If you are using a good fertilizer, especially a good liquid organic fertilizer, like Wholly Mackerel, you won't have a magnesium deficiency. 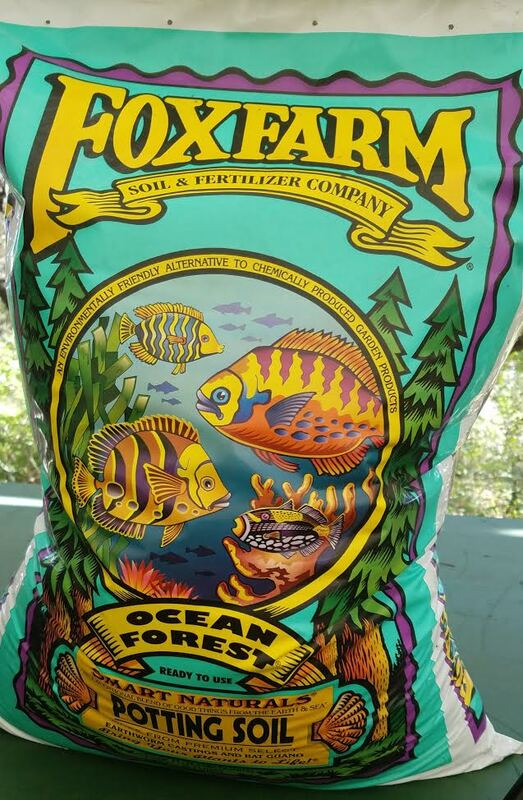 Some of the fertilizers have a bad smell, but not that one. If you use non-organic ingredients, you can burn your plants. Just remember if you fertilize a plant that is dry, you can burn it also. 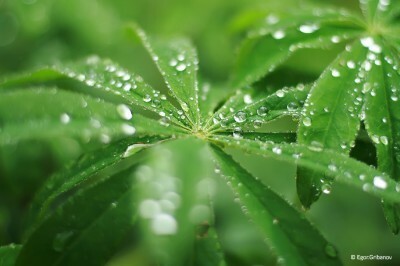 liquid fertilizer is best for your plants in pots and containers and you should use it every 2 weeks. The label on the fertilizer will say how much and how often so just follow the instructions on the label. Again, remember everything is "trial and error." 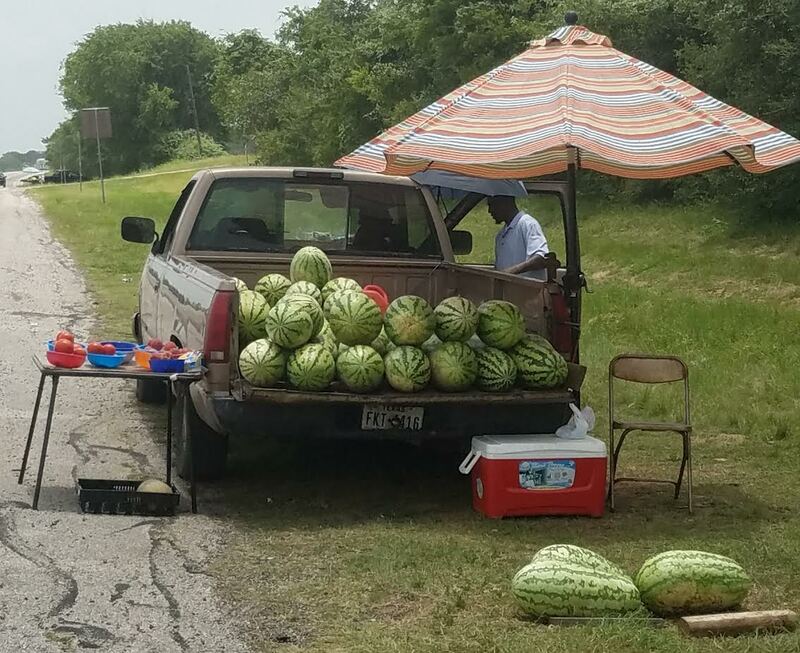 Watering is a big bugaboo in Texas. Use water wands, which are more easier to use. 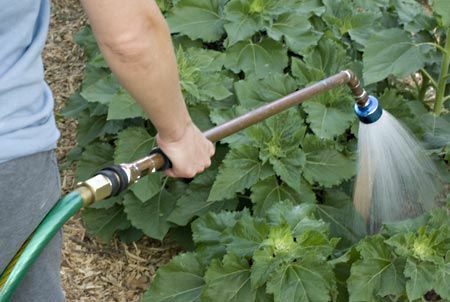 If you have a lot of food growing in pots, containers, raised beds, or in the ground, many people use drip systems for watering, however, others enjoy watering their plants manually so they can get more exercise. There are advantages and disadvantages to drip systems. Some of the advantages include -- 1) Easy installation - drip irrigation installation is easy to install. Tubing is weaved throughout the area requiring watering; and 2) It can save money on your water bill. Many plants grow best in areas that receive lots of sunlight and remain fairly warm throughout the day. Therefore, at least 6 (or more) hours of sunlight is needed for many plants to grow so sunny windows are extremely helpful for growing plants indoors. However, if you don't have sunny windows or if the area is a low temperature, grow lights will be your new best friend. 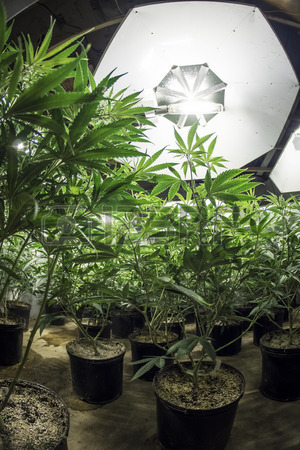 They help maintain optimal light and temperature conditions for plants, regardless of outside weather or indoor conditions. Transplants are also called seedlings. These are the plants that have already grown up from seeds that you can buy at garden centers. However, always make sure the plants you buy to repot haven't been treated with neonicotinoids! 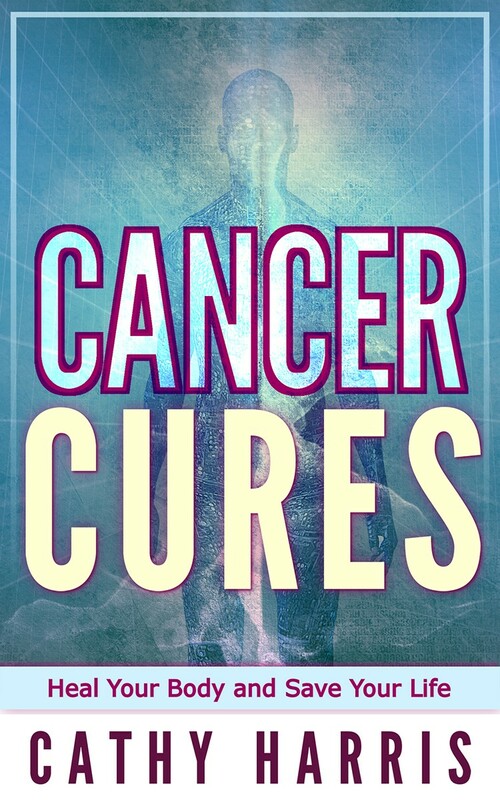 They are relatively a new class of insecticides that share a common mode of action that affect the central nervous system of insects, resulting in paralysis and death. These insecticides have been strongly linked to harm bees and even cause bee deaths. And we know that GMOs today are killing off all bees. Pollination is to convey pollen to or deposit pollen on (a stigma, ovule, flower, or plant) and so allow fertilization. Bees pollinate about 1/3 of our food crops so you can plant some bee-friendly flowers, too. So in the long run, it's best to buy ORGANIC transplants or seedlings that are free of all toxic herbicides, insecticides, fungicides and artificial fertilizers. 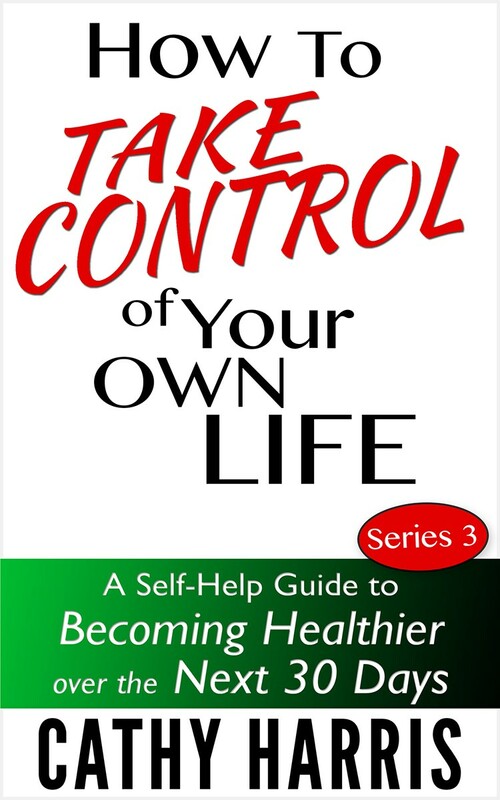 It's better for your health and the health of all life. We have 4 tomatoe plants growing in a big terracotta pot. We could have overpotted on the plants, however, tomatoes usually takes on a life of their own, once they start growing. You usually end up putting a trellis on the plants so they can grow upwards and give you more space. We have at least 3 different types of tomatoes plants, where we mixed them all together. I heard when you mix different varieties of plants together, they feed on each other and will help each other grow. Some plants will even keep pests away, however, I am not up to date on those yet. 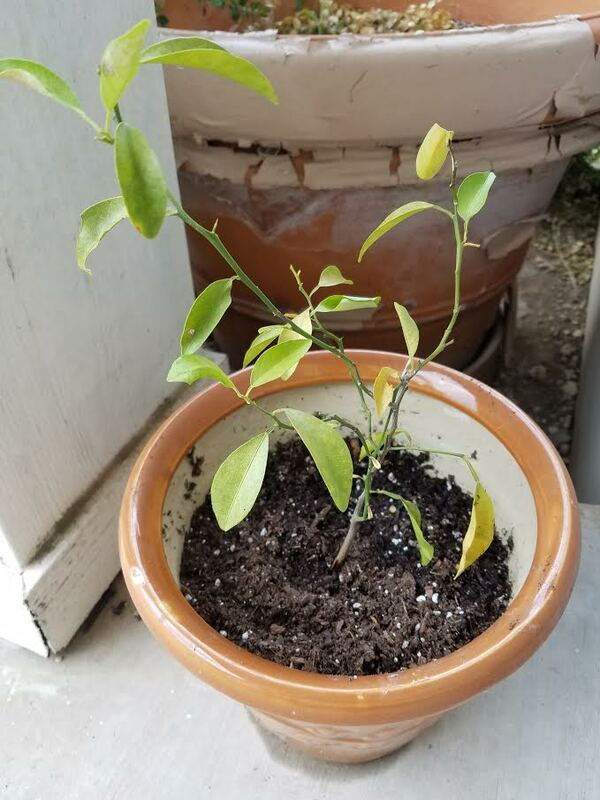 We have two fruit trees growing in pots - a lemon tree and tangerine tree, given to me by a friend in Houston. When I initially changed the soil over to use Miracle Gro, the plants looked horrible for a couple of days because sometimes you really can't touch plants because they can feel it. Or they could have looked that way because of the Miracle Gro soil, which is a Monsanto company and is probably TOXIC, but I did not know that at the beginning of my gardening journey. 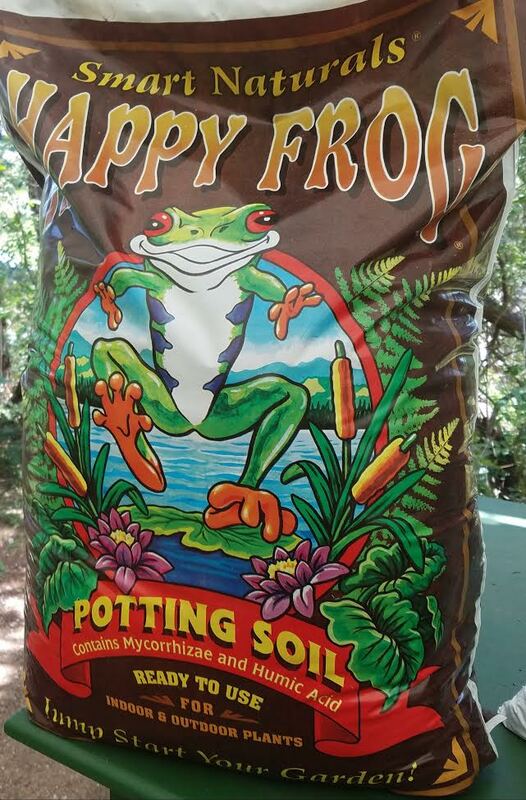 When I took the two plants out of the Miracle Gro potting soil, and placed them in my Smart Naturals Happy Frog Potting Soil, they did not react like they did before so it certainly could have been the Miracle Gro TOXIC potting mix. 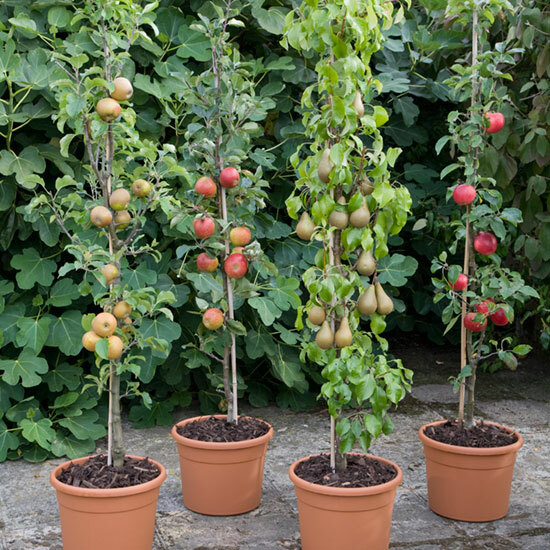 When growing fruit trees what you need to remember is the right time to repot these trees. 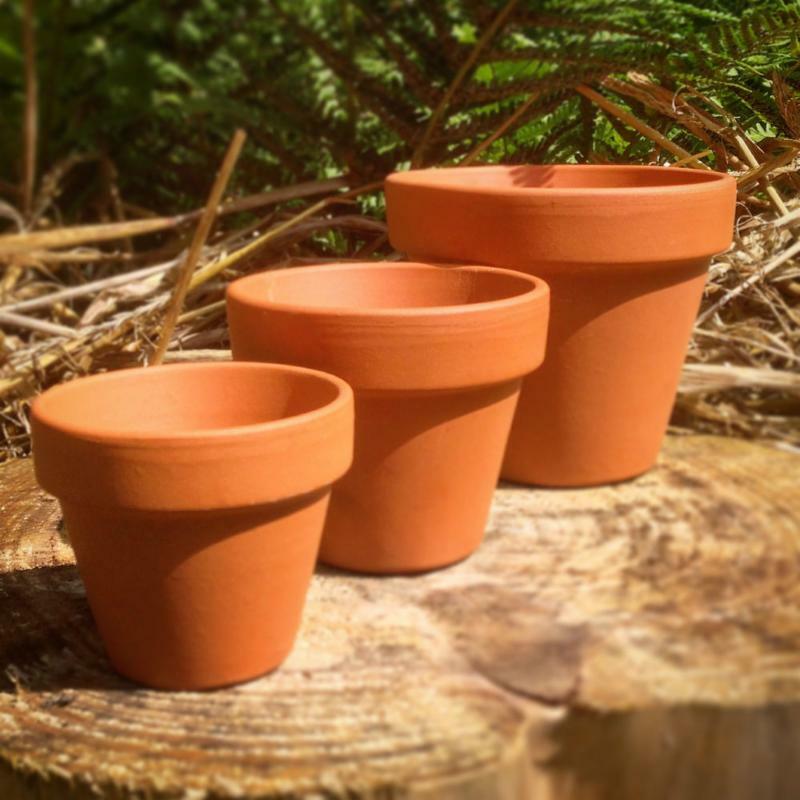 As the trees gets bigger, it's easier to take them out of plastic pots and containers than it is out of ceramic, terracotta pots or other containers so make sure you use the right containers as you grow your foods. Choose the pots. Make certain there are one or more holes in the bottom of your container to allow water to flow out freely. Choose the potting mix. Do not use soil from the yard or garden. Choose the plants. Make "Right plant, right place" your motto. So now along with my FIRST raised bed garden, I am certainly looking forward to growing more foods in pots and containers, especially inside of my home. 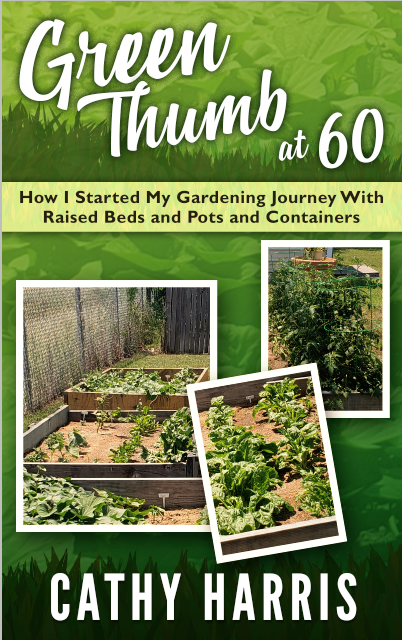 I feel really comfortable with growing foods in raised beds and in pots and containers outside of my home. 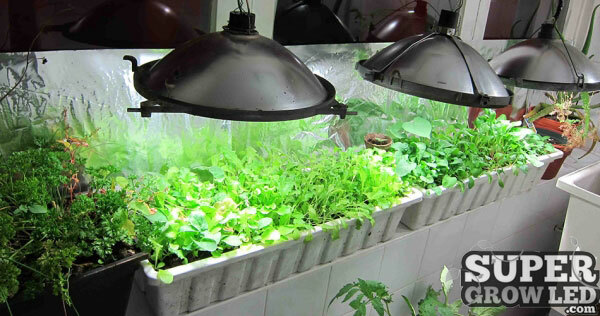 So I hope to bring you more information in the future on growing foods inside of homes. 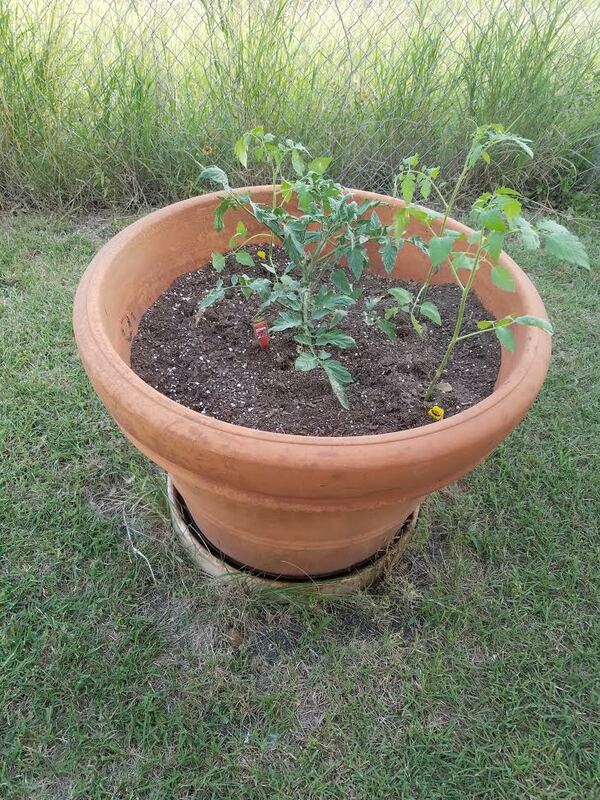 Showing others how to grow foods in pots and containers, in raised bed gardens and in the ground is certainly a major opportunity for business owners who would like to become Garden Consultants and create job's programs and business opportunities around growing foods -- so join us in the VirtualOrganicGardenClubs.com movement to set these up. 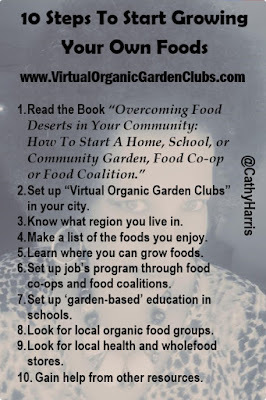 Don't forget to go back and read "10 Steps To Start Growing Your Own Foods." After writing the article on "How To Use Pots and Containers To Grow Foods," one of the food experts told me that unglazed clay pots with drainage are the best pots to use to grow foods so I am taking her advice, but will ask other experts about this also. 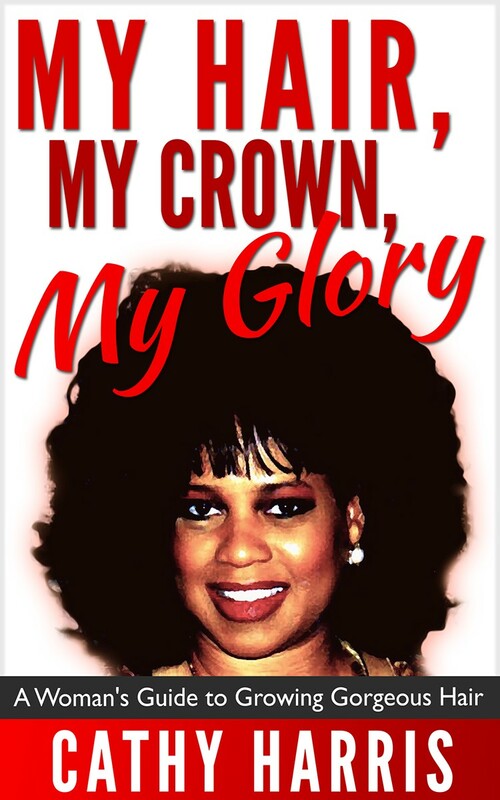 I put a disclaimer on the picture on the blog because again, I don't want to put the wrong information out there. 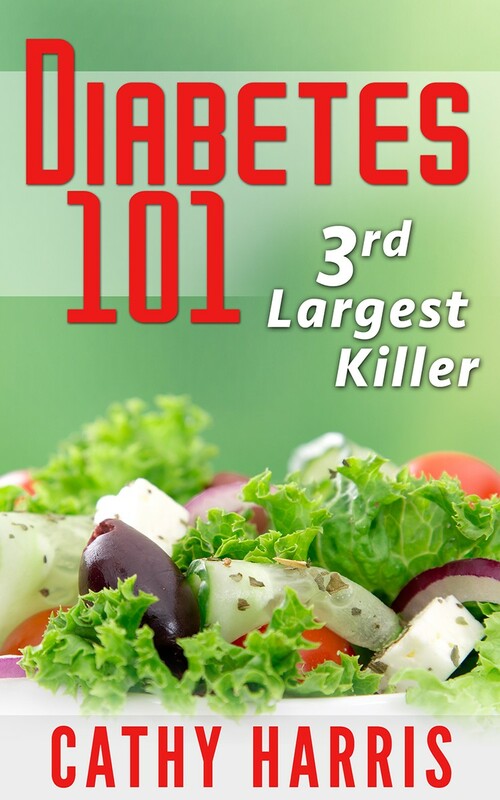 "DISCLAIMER: I was told by an expert that every part of a potatoe is deadly, except the potatoe itself and to keep children and animals away from your potatoes when growing them. Personally, I don't eat potatoes. I just used the picture from the internet for this article. Again, everyone need to conduct their own research. 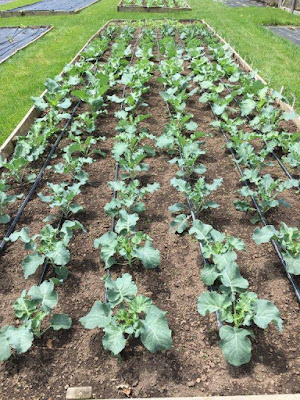 I wanted the article to get everyone thinking about growing their own foods, but I am certainly not an expert when it comes to growing foods. I am learning along with everyone else by reading books, attending local classes, watching YouTube.com, and working with other food experts." 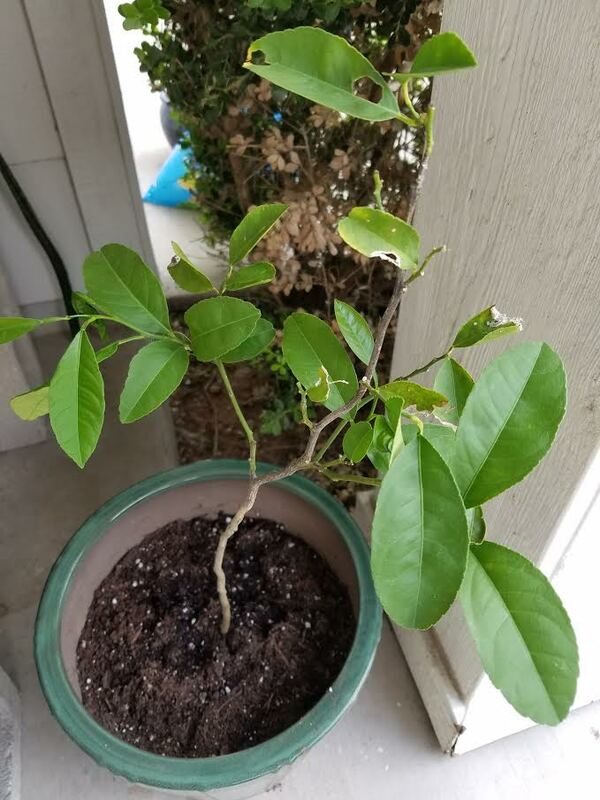 I was very unsatisfied with how the leaves have been looking on my two citrus trees in pots, a lemon and tangerine tree, since I first brought them home, even though I am adding the semi-monthly liquid fertilizer. So I actually took leaves off both the trees and took it to Austin Natural Gardener so they could examine the leaves under a microscope, to tell me what was happening with them. Just by looking at the leaves under a microscope, the instructor told me that I was overwatering both of the plants. One pot I know I might have been overwatering because it did not have a drainage hole so I have since repotted the tangerine plant to another pot, an unglazed clay pot with a drainage hole. Stunted slow growth with yellowing leaves is a symptom of overwatering and that's exactly what was happening to these two plants. To me they were growing entirely too slow. The other sign of overwatering is "leaf fall." The leaves had been falling off the plants. If you have yellowing leaves -- old leaves as well as new leaves falling off at the same accelerated rate, you are providing too much water. So she said just check my soil regularly, but make sure the soil drys completely out before watering again. And it's worth mentioning again -- never add liquid fertilizer to your pots and containers or raised bed gardens, unless the soil is wet, because it can burn the plants.